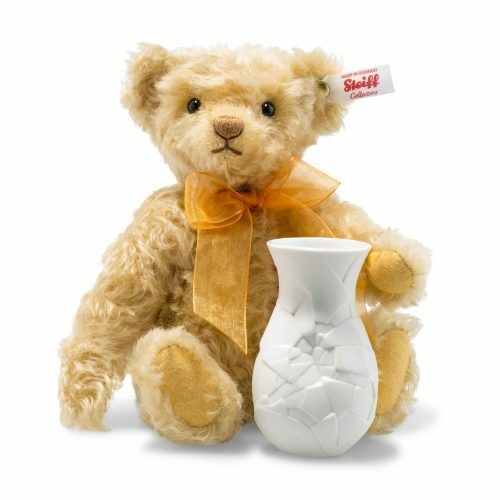 Like Rose Teddy bear last spring, here is Sunflower Teddy bear with a very special vase for tender blossoms. 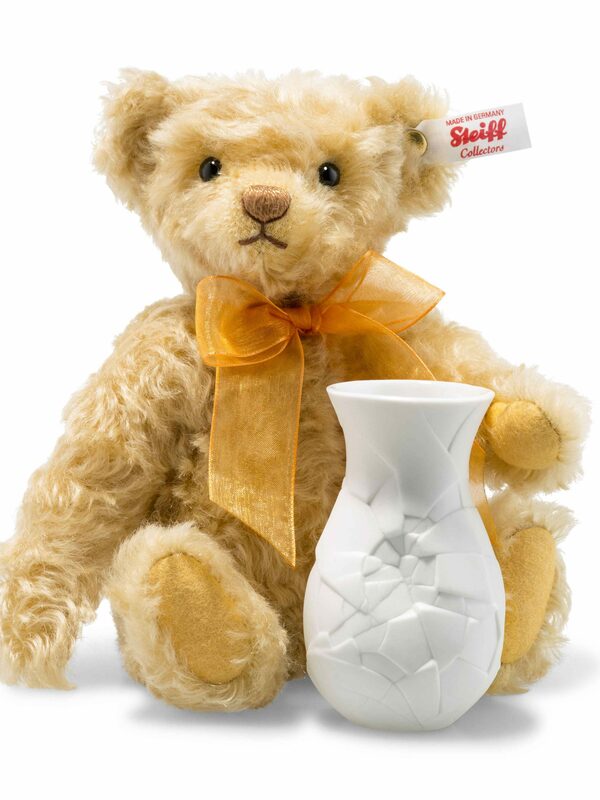 Once again, the vase is made by porcelain specialists Rosenthal. Made of gold curly mohair All that is needed to complete the picture is a bouquet of freshly picked flowers.